This is arguably the most iconic picture one can take in Prague. 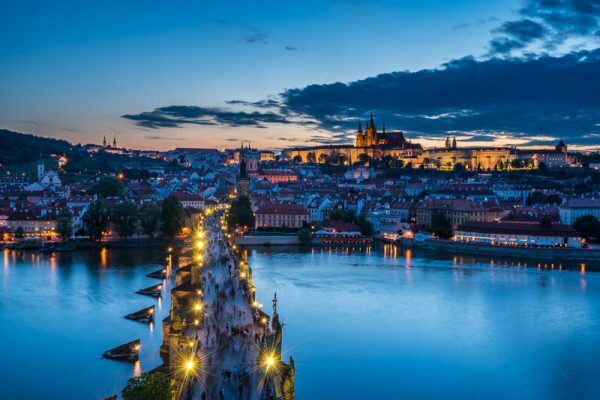 In a single composition, you get two major landmarks – Charles bridge leading to Lesser Quarter featuring Prague Castle. This view makes you feel like having Prague at your fingertips and transforming the world around you into a fairytale. This is my magical Prague. Price: 4640 CZK (approx. 220 USD), free shipping worldwide! Paper: PRO Pearl 300 gsm is semi-matte PEARL paper of premium quality. It is water-resistant and comfortable to laminate it. This paper is on the peak of world production of semi-matte resin-coated papers for inkjet printers. Margins: top, right and left: 15 mm and 25 mm on the bottom where the signature and print edition number written by a pigment marker is placed. Margins are not included in the print size. Shipping: the print is shipped rolled in a heavyweight, high-durable tube to ensure its safe transport to you. Payment will be done via PayPal or a bank transfer (if convenient). The photographer reserves the right to reproduce this image for use in greetings cards, for promotional and commercial purposes, calendars or in a book. These reproductions are not considered originals but may augment the value of your original. If your print arrives damaged, report it no longer than 7 days after delivery. You may be charged customs duties and taxes for this print.